Himalayan salt lamps have become somewhat of a hot topic over the last few years, and it’s not without reason. We currently live in an age of technology, and we are constantly surrounded by electronic devices. Whether it be our cell phones, TVs, or computers, there is always some type of electronic device nearby. While our devices provide joy and entertainment, did you know they can actually be very harmful to the human body as well? Aside from ruining our eyes, televisions, tablets, and smartphones expel positive ions into the air. Positive ions are dangerous to breathe in, and they have also been linked to fatigue and depression. Unfortunately, we are surrounded by technology and it’s almost impossible to escape positive ions these days. Himalayan salt lamps, however, actually remove and replace positive ions with “good” ones. They come in a few different forms ranging from a solid piece of salt, to baskets filled with salt crystals to votives. There are many reasons to purchase a Himalayan salt lamp, but here are four of the most important. Most people already knew that Himalayan salt lamps can clean and purify oxygen, but few people actually know how incredible the process really is. Believe it or not, there is a lot more going on than just a hot lump of salt drying up its environment. In fact, Himalayan salt lamps work because of a process known as hygroscopy. When a Himalayan salt lamp is heated up, moisture is absorbed into the salt. 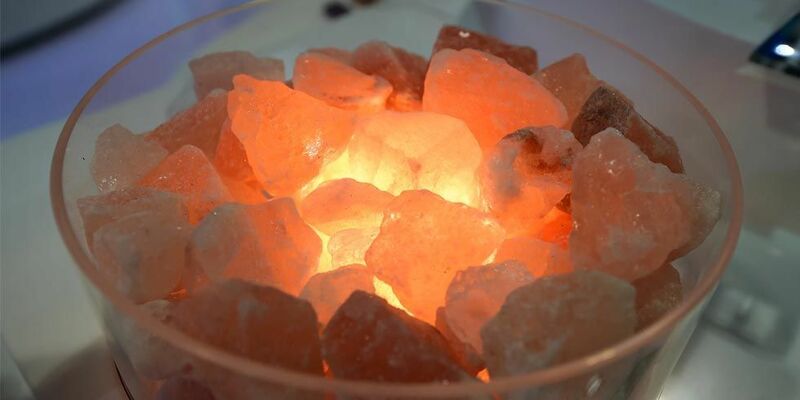 Dust particles, cigarette smoke, and pollen are absorbed into the Himalayan salt lamp as well. The water that was sucked into the lamp will eventually evaporate, but the harmful air pollutants will be trapped in the salt forever. Since Himalayan salt lamps remove pollution from the air, our lungs are positively affected. But, there is actually more to it than that. 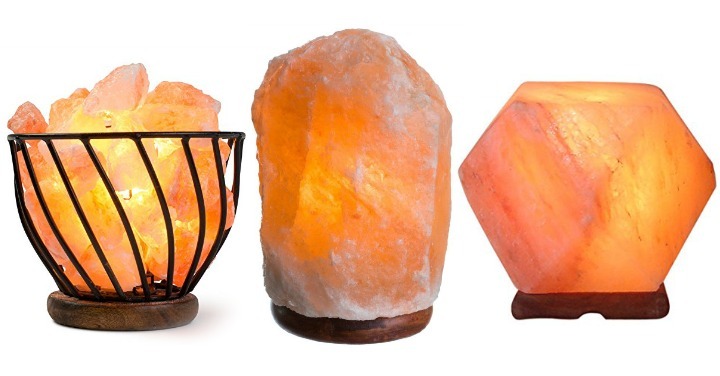 We briefly discussed how unhealthy positive ions are, but the good news is that Himalayan salt lamps can provide a remedy to this problem as well. We have already stressed how detrimental positive ions can be to the human body, but positive ions have recently been linked to exhaustion as well. Fortunately, Himalayan salt lamps remove and replace positive ions with negative ions. Aside from Himalayan lamps, a shower or a drive along a country road can replenish your body with the negative ions that you need. But, once again, you will be surrounded by positive ions once you enter a room that contains a television, computer, electric heater, or any other type of electronic device. Luckily, a Himalayan salt lamp can remove the positive ions and fill your room with the “good” ones that your body requires. Not only do Himalayan salt lamps give you more energy and remove pollutants from oxygen, but Himalayan salt lamps will also provide you with a better night’s sleep as well. Most of us currently sleep in a room that is filled with positive ions. Aside from being a major health risk, too much exposure to positive ions can deplete oxygen from the brain. This can lead to a disrupted sleep pattern, but Himalayan salt lamps solve this problem by filling the air with negative ions. If you notice that your sleep cycle tends to get interrupted, try placing a couple of Himalayan salt lamps in your room. You should begin to see a huge improvement in your sleep patterns. A Himalayan salt lamp is a natural filter that will rid your home of air pollution and positive ions. Furthermore, they are not that expensive to purchase. In fact, most medium sized Himalayan salt lamps cost around $20, and they come in many different colors. Aside from providing countless health benefits, they happen to look really cool as well.